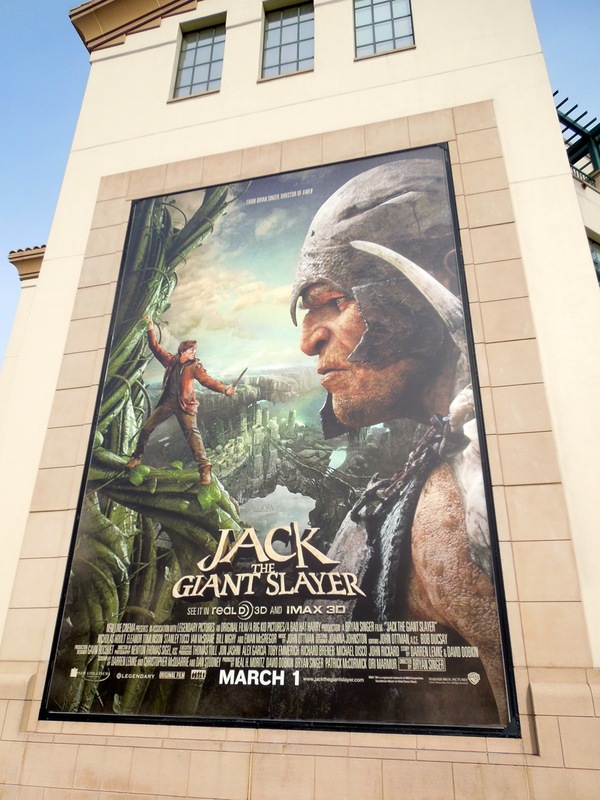 First it was superheroes and comic book characters, now it seems Hollywood's fascination with fables and fairytales continues in 2013. In 2012 we were treated to several Snow White stories, whilst we've already had a fresh new take on Hansel & Gretel this year, but now it's time for 'Jack' and his infamous beanstalk to take centre stage with Jack The Giant Slayer. 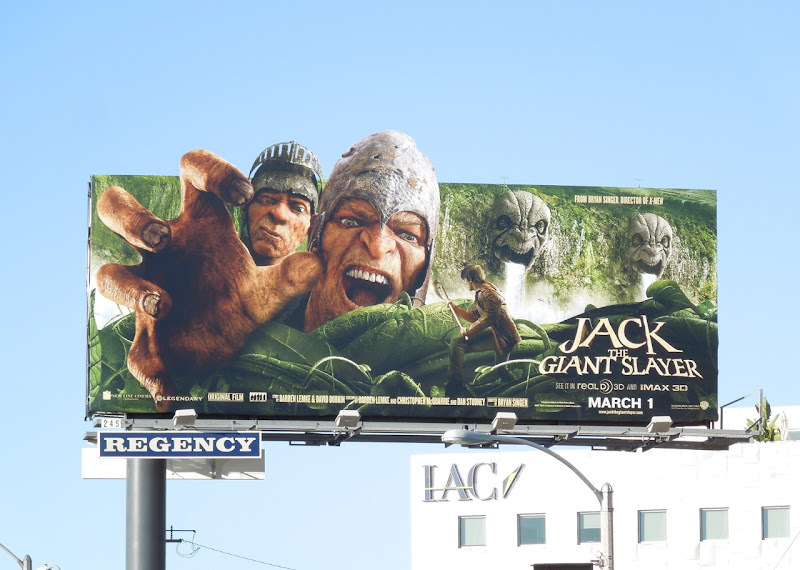 Bryan Singer directs Nicholas Hoult as the titular hero, who is re-envisioned as a young farmer leading an expedition into the giants' kingdom to save a kidnapped princess. 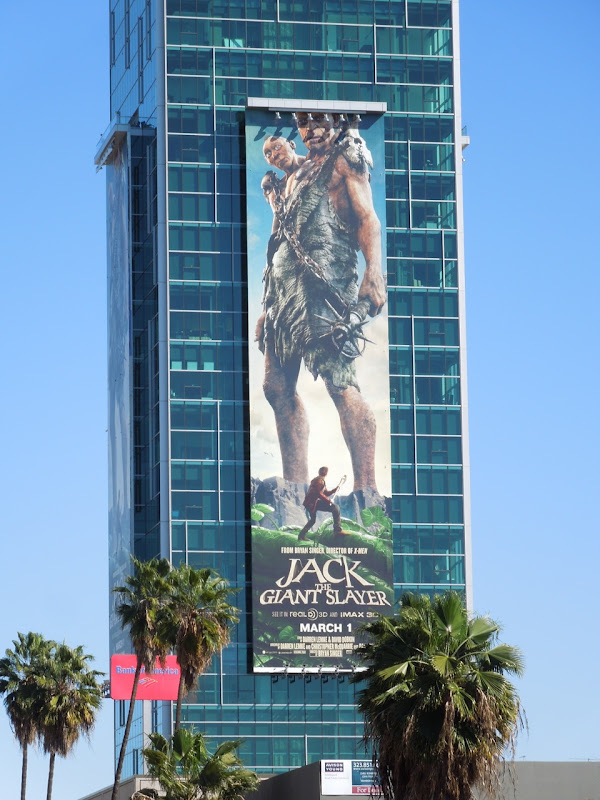 The About a Boy child star and teen 'Beast' from X-Men: First Class is having quite a year so far, with his turn as a zombie in love in Warm Bodies also in theaters this February. 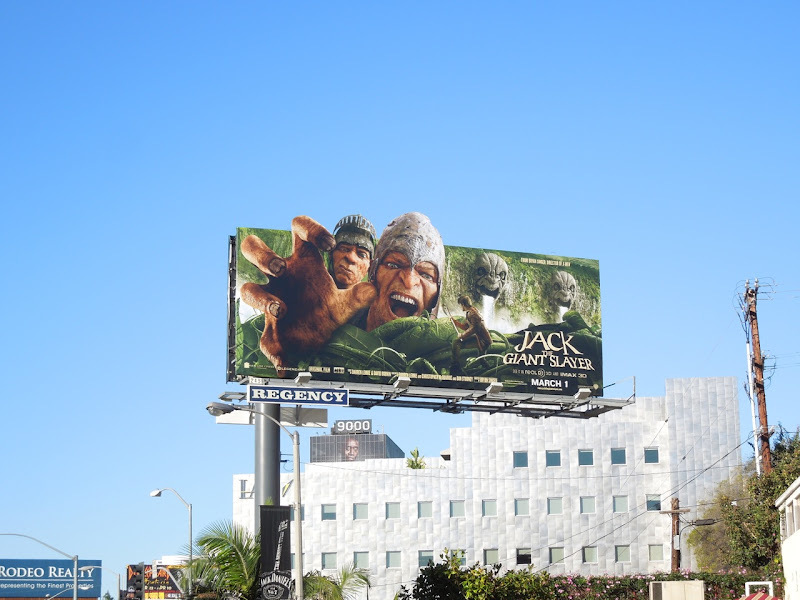 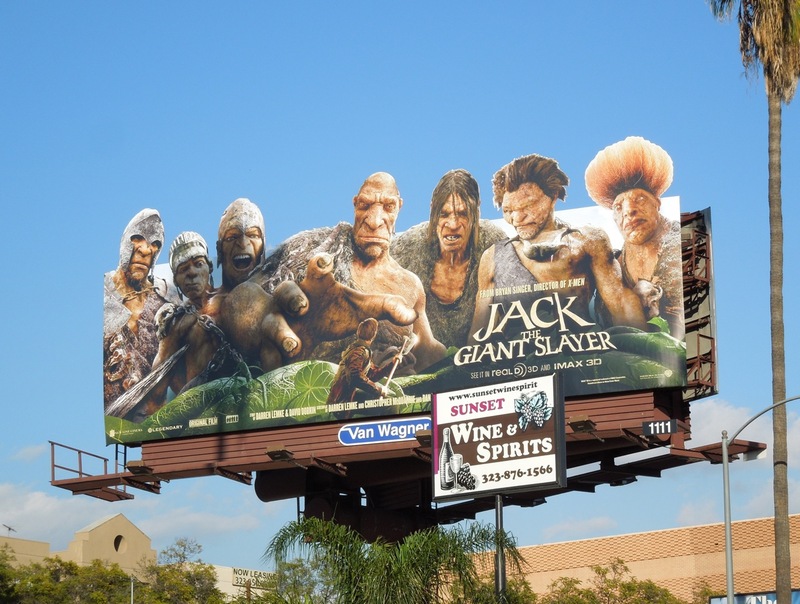 This special extension billboard for the fantasy movie stands out along Sunset Boulevard on January 23, 2013. 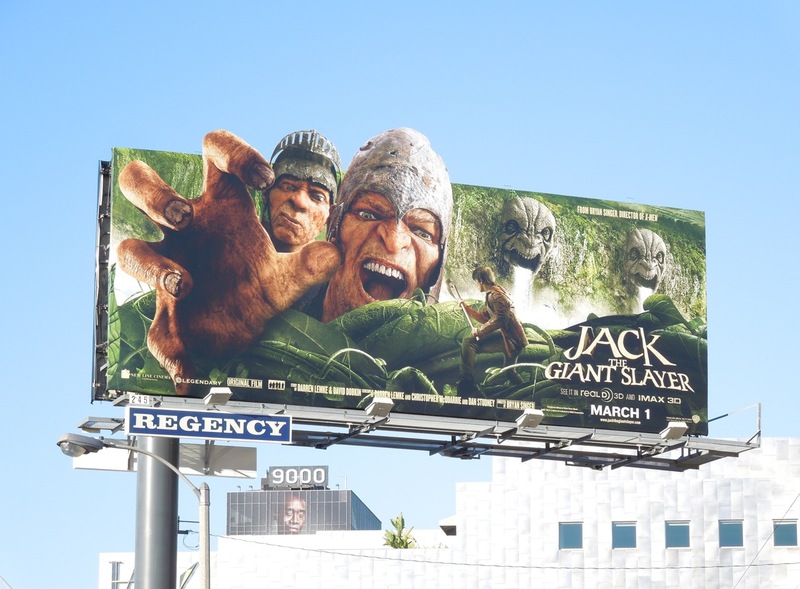 UPDATED: Here are two additional cool creatives for the new fairytale inspired film snapped at Warner Bros. Studios in Burbank, California on February 2, 2013. 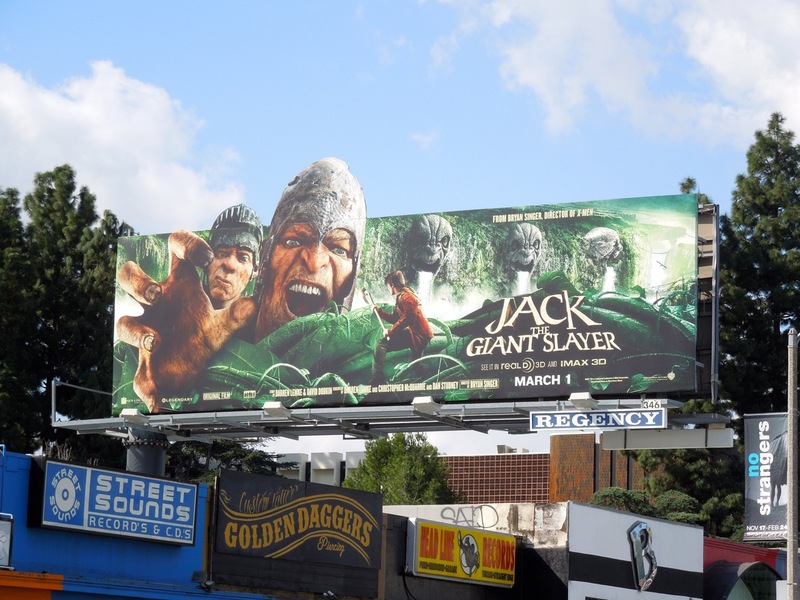 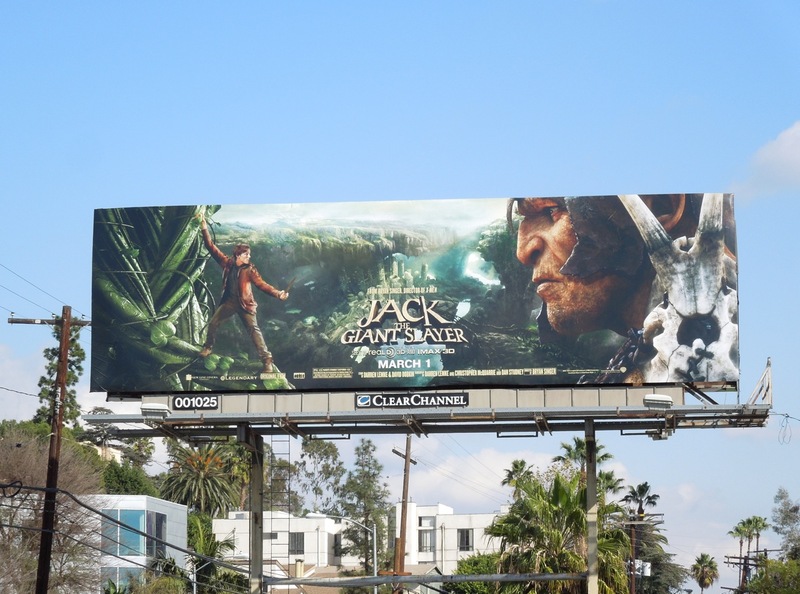 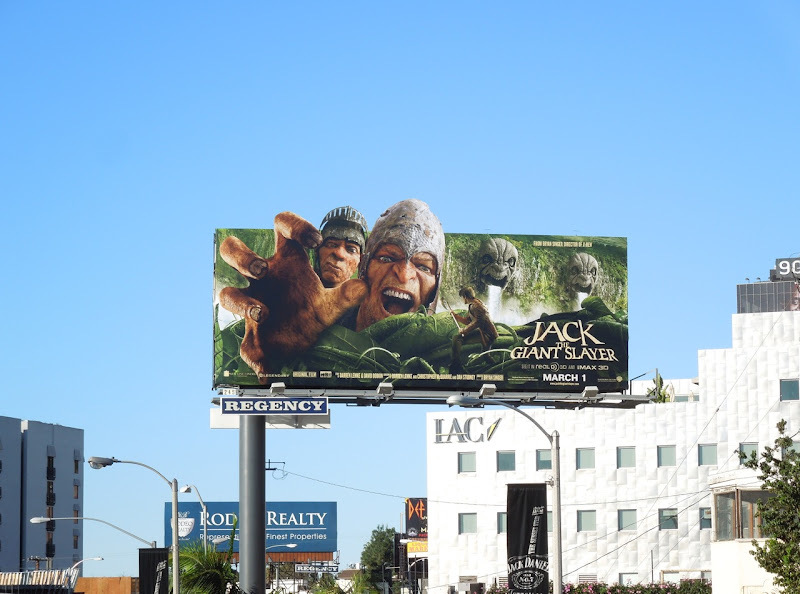 UPDATED: The marketing campaign has certainly kicked in to high gear for Jack The Giant Slayer and new creatives are popping up all over the streets of L.A. 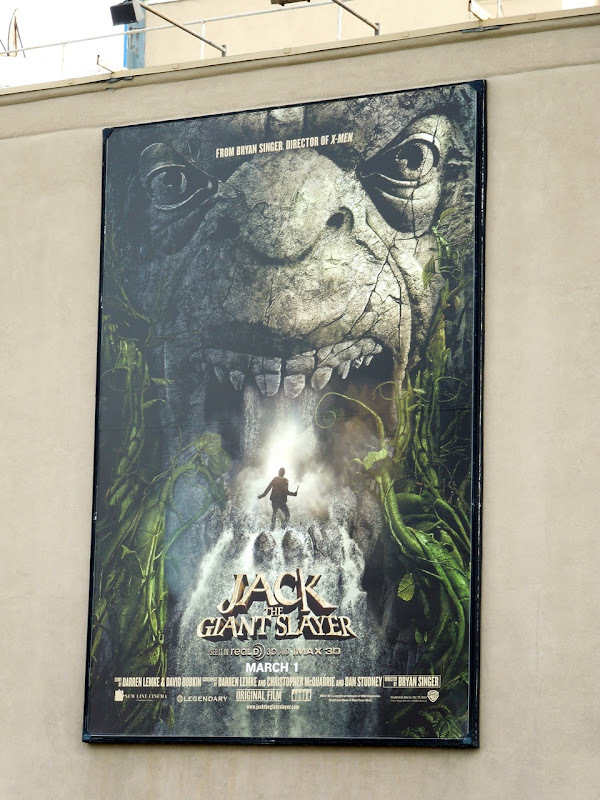 Here's a landscape version of Jack face to face with a giant and also a rather cool special extension creative seeing our hero surrounded by a horde of giants. 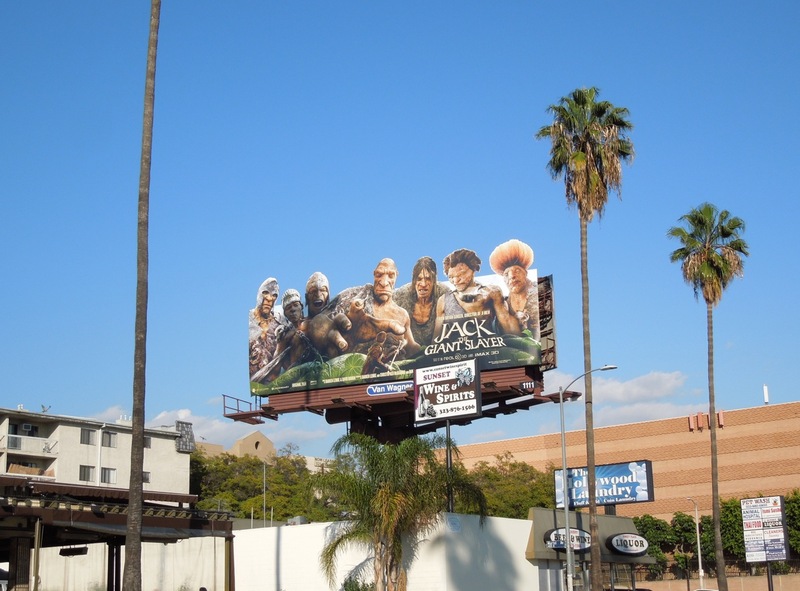 The standard ad was snapped along Highland Avenue at Franklin Avenue, whilst the extension version was captured along Sunset Boulevard in Hollywood on February 9, 2013. 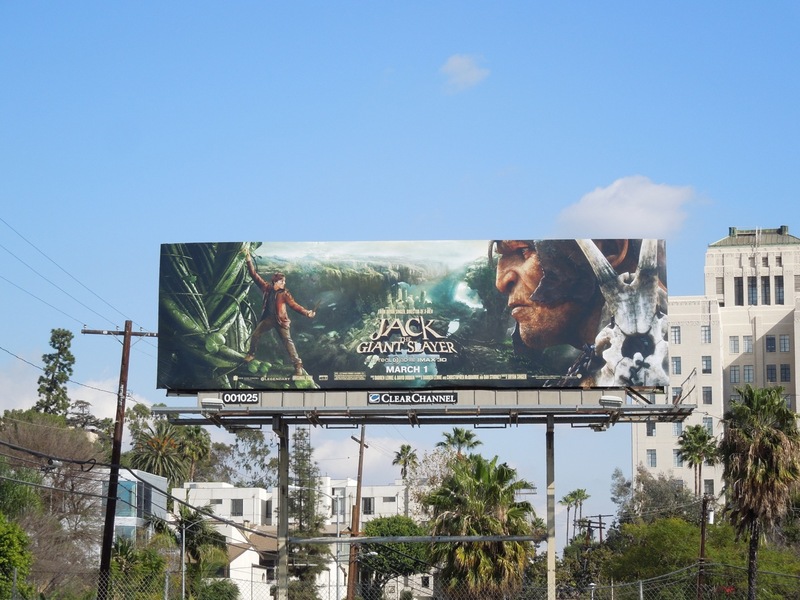 UPDATED: It seems only appropriate that Jack would get a giant-sized billboard to help promote his movie. 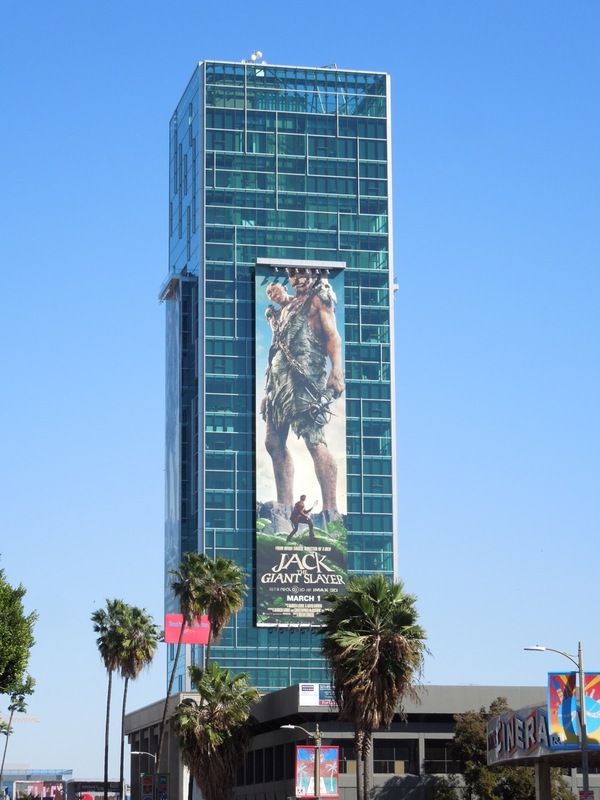 This super-sized creative was spotted towering over Sunset & Vine in Hollywood on February 20, 2013. 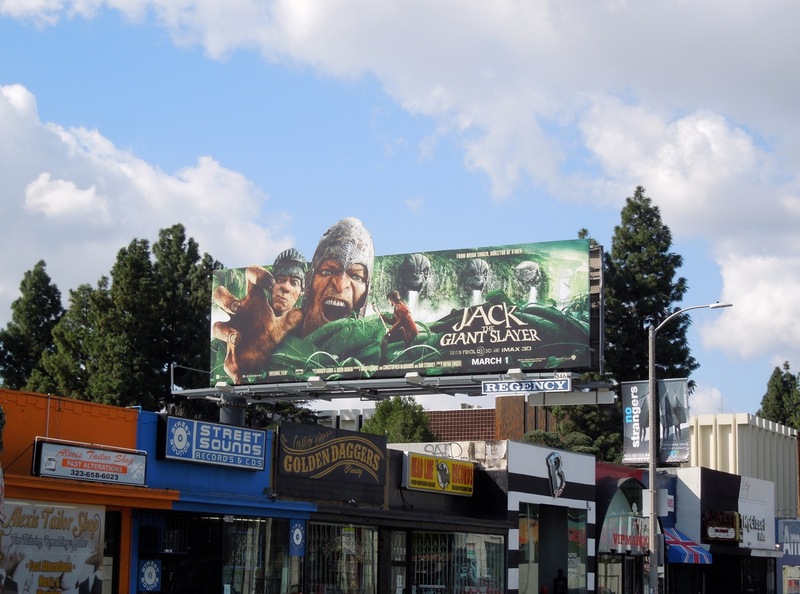 Plus here's another variation on the original special extension billboard snapped along Melrose Avenue on February 21, 2013. 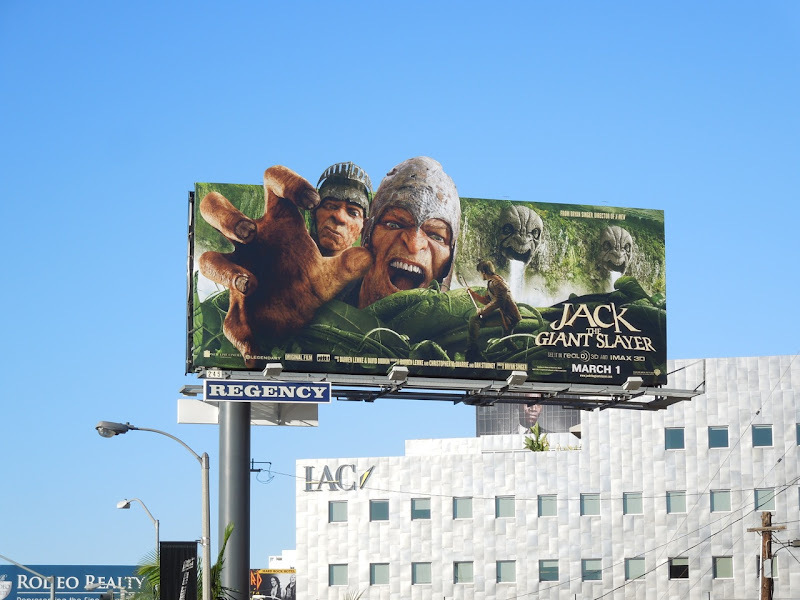 Only time will tell if this movie adaptation of the English folktale will live happily ever after, or get crushed at the box office.